Trade unionist Mansour Osanloo was yesterday freed from jail in Iran almost four years after his arrest, which set off a storm of international protest. The authorities in Iran, where independent trade unions are banned, have made Osanloo's release conditional on his ‘good behaviour’ and the payment of a bond. 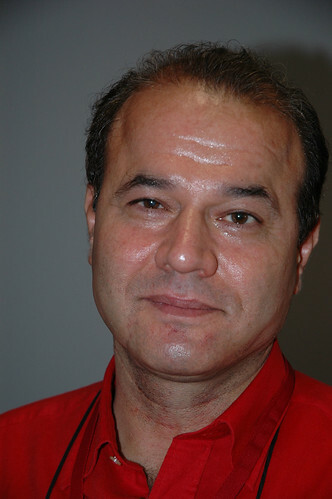 ‘This is a great day for Mansour and his family – and for his fellow Vahed union members and those of us in the international trade union movement who are honoured to call him a friend,’ said David Cockroft, general secretary of the International Transport Worker's Federation (ITW) that has spearheaded the campaign for Osanloo's release. ‘It’s doubly welcome given the deterioration in his health during his time behind bars. ‘He is free because trade unionists worldwide demanded justice. The Vahed Syndicate responded to the news by saying that they would like to thank everyone who has fought so hard for his release. Mansour Osanloo was a bus driver and is the president and one of the founding members of the Vahed Syndicate, a free trade union representing Tehran’s bus workers. From its beginnings in 2005 the ITF-affiliated union was subjected to heavy repression, including repeated attacks and arrests. Mansour Osanloo was heavily targeted. As well as being beaten up and having his tongue slit, he was imprisoned in 2005 and 2006. In 2007, just one month after visiting the London head office of the ITF and meeting trade unionists in Brussels, he was arrested. Three months later he was sentenced to five years’ imprisonment on charges of ‘acting against national security’ and ‘propaganda against the state’; in 2010 another year was added to his sentence. In reality his only offence was to help found a genuinely democratic trade union.